Overview: Have you ever woken up in a cold sweat from a nightmare where your best friend suddenly grows fangs and goes for your jugular? 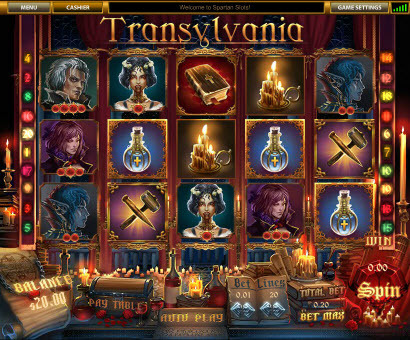 Play Transylvania to defeat the blood-sucking creatures that wander freely among us! 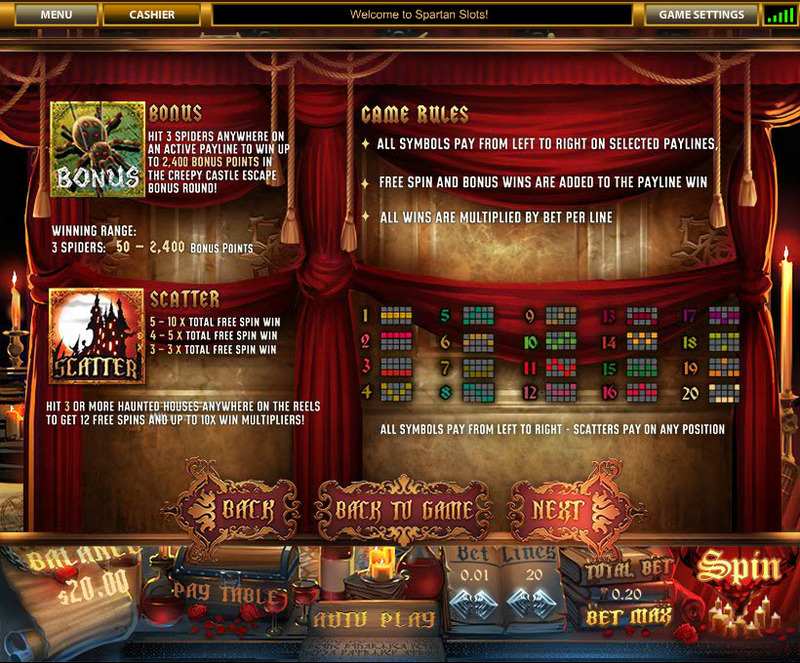 Win up to 2,400 bonus points in the Creepy Castle Escape bonus round and hit Haunted Houses for free spins with payout multipliers! 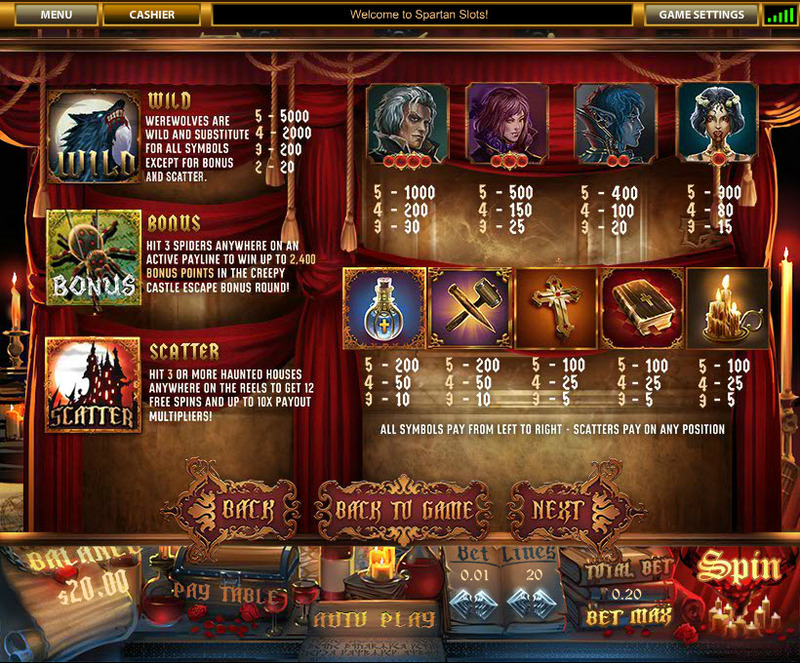 Similar Slots: If you like Transylvania, you might like these other slot machines from Top Game: Beauty Salon, Carnival of Venice, Daytona Gold, Happy Circus, Mad Orchestra, Ocean Fantasy.